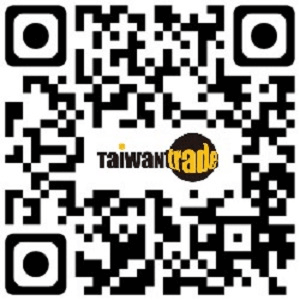 The Taiwan External Trade Development Council (TAITRA) has been organizing expos and exchanges between Taiwan and New Southbound Policy partner countries that aim to increase awareness of Taiwan as well as its products and technology. The main event is the Taiwan Expo, which is held annually in the government’s six designated priority countries, Indonesia, Malaysia, Vietnam, Thailand, India and the Philippines. K.K. Orchard, a farm-to-store sweet potato enterprise, has been an eager participant. The company was one of the 19 exhibitors to present their food products in Manila in October last year. The event was rewarding, with 148 local businesses attending and an estimated US$1.25 million worth of business opportunities conducted. K.K. Orchard, in particular, received large orders from two major Philippine supermarkets. Other types of consumer goods also regularly do well in the expos. In this year’s Thailand event that concluded on Sept. 1, Tokuyo received an entire shipping container’s worth of orders for its massage chairs, while attendees rushed to clear the expo’s inventory of dried meat, sweets and nano-tech underwear. Eco-friendly products have also been a hit at the shows. Immediately after last year’s Taiwan Expo in Indonesia, the Green Trade Project Office took several Taiwanese companies to the Indonesia International Green Technology and Eco-Friendly Products Exhibition, displaying Taiwan’s ability to transform waste into clothing, glass products and other consumer goods. EcoMax Textile Co, which specializes in turning PET bottles into fabrics, attended both events and found that its scarves and other wrap-type fashion items were popular with Indonesian Muslim women. The event’s success inspired company president Ko Han-che to personally attend last year’s Taiwan Expo in Vietnam, where he was further encouraged by local enthusiasm for his products. One buyer even offered to provide land for Ko to build a factory in Vietnam. While EcoMax has yet to cash in big on its southbound efforts, it has received increased interest from Southeast Asian countries ever since. Tapping into the halal market is also extremely lucrative. While K.K. Orchard already has halal certification, Chen said it plans to ramp up its efforts in the sector in the next few years. In April, K.K. 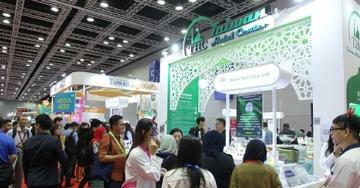 Orchard displayed its wares at the Malaysia International Halal Showcase, where Taiwan boasted the largest presence after Indonesia. An estimated US$6 million worth of business opportunities were generated during the show. The potential of the halal market should not be overlooked, as a Grand View Research report predicted that the global halal food and beverage market would grow from US$436.8 billion in 2016 to US$739.59 billion by 2025, with the Asia-Pacific region as the top consumer in 2016. Within the region, Indonesia and Malaysia accounted for more than 55 percent of total demand. TAITRA compares halal certification to an “entry ticket” into Indonesia and Malaysia, and established the Taiwan Halal Center in April last year to assist Taiwanese firms with the complicated process. Since then, the number of halal-certified Taiwanese companies has grown from about 300 to more than 800 as of March, and TAITRA predicts the number will exceed 1,000 by the end of this year. The majority of these are food companies, followed by beauty product manufacturers. One of the beneficiaries is Tai Ping Yang Food Co, which specializes in fermented bean curd. Since it received halal certification, its sales in Southeast Asia have grown by about 20 percent annually. E-commerce collaborations have also been a way to reach Southeast Asian consumers. In August, TAITRA partnered with PChome Online Inc., Taiwan’s largest e-commerce operator, to set up a “Knock Knock Taiwan” specialty section on the company’s Thai Web site, with items ranging from selfie sticks to inflatable neck pillows and sporting equipment. Free shipping was provided for the first two months. This came on the heels of similar partnerships with Vietnam’s second-largest e-commerce site, Tiki, in April, and Indonesia’s Bilibili in June last year.